STORCI & RUSTICHELLA D'ABRUZZO: A 14-YEAR "MARRIAGE"
The collaboration between Storci and Rustichella d’Abruzzo is important and long-standing, so long that Gianluigi Peduzzi, CEO of the latter company, talks about it like a marriage. 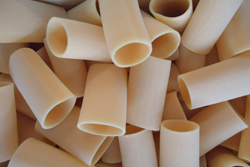 Storci ha fornito a Rustichella d'Abruzzo una linea Omnia e successivamene una linea per pasta corta ed una di pasta lunga. As Mr Gianluigi Peduzzi says (in merito al rapporto con Storci): “the high quality and high technology of the installation have enabled us to offer products of excellence, try new shapes and, above all, to make a wide and varied catalogue of products all with one system”. 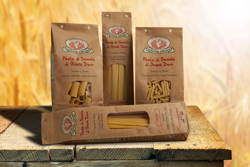 Certainly it is a partnership that will continue, thanks also to the lines of short and long pasta acquired recently and that are processed at full capacity, ensuring a highly satisfactory rate of production”. Referring to the support furnished by Storci from the technological standpoint, he adds: “We can’t forget the technological support of the Storci production lines – continues Gianluigi Peduzzi – Storci collaborated fully with us for the development of the kind quality product we wanted to make … and now we are able to offer our clientele pasta that is truly artisanal, using modern technologies, above all as regards quality control and supervision of the drying processes during production”. It's a winning combination that satisfies both partners. download the pdf attached to this news to see the article that talks about Rustichella ( Pasta & Pastai magazine).